What is the Cost of Piano Lessons for Beginners? Many parents want private piano lessons for their children. But how much does private piano lessons cost? The answer is; if you want a teacher in your area, it may cost you anywhere from $70 per hour upwards. If the teacher comes to you, it will be more expensive as the teacher has traveling costs as well. Today, there are four ways you can learn piano. 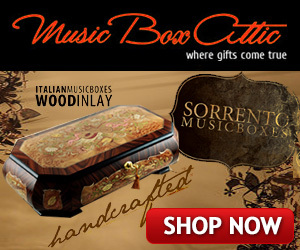 Below, you will find a link to a software program which can teach you how to learn to play the piano by ear first. The program helps you play first, then teaches you how to read, all while you think you’re playing a game. It gives you 100 lessons for $600 which you will pay $7,000 for if you have a piano teacher. You get a free keyboard with the program. 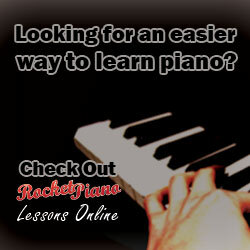 Another way is to Learn to play the piano for beginners or kids – a program that won’t break the bank. This program cost around $60 to buy, and there are 300 lessons but you need your own digital keyboard with a midi cable that runs from the keyboard to the computer. Next, you get video lessons where you buy a video of piano lessons. You can look at the video, learn from it and apply what you’ve learned. For $164 you get 20 lessons, 2 play along CD’s, a lesson book, and access to the student support website. Next you can have a real teacher. It works like this: You find a piano teacher online and pay $105 per term. They will send you a video of your first lesson. You watch the video a couple of times, and then you practice what the teacher taught. Once you feel you are ready, you record yourself (or your child) on video either with a video camera or your phone. You then upload the video to your computer and send it to the teacher. The teacher watches the video and sends you another video explaining what you can do better. If you are ready, the teacher will send you the link to the next lesson. You can find a real teacher that can teach you via Skype or Google Hangouts. This will cost you the same as when you go to a local teacher, but you have the added advantage that you have a wider variety of choices. You may choose an excellent teacher online who has been or is a performer themselves. Your fourth option is a real teacher whose house you go to in your local area. You will probably have half an hour lessons that cost $35 for half an hour, or $70 for an hour. You have four options when it comes to piano lessons for you or your children. The cheapest option is to buy the piano software. The most expensive option is a teacher that you go to, that comes to your home, or teaches you online. Now that you know how much the different options are and how they work, which option will you choose and why? Let me know in the comments, or contact me.